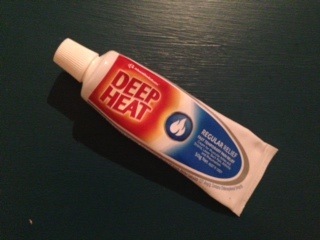 I think I’m addicted to Deep Heat | Life. Crazy. Beautiful. This entry was posted in Uncategorized and tagged hiking, walking by Nimmity. Bookmark the permalink. I love your posts Nim..not enough of them lately though! Pingback: Rainy Adventures | Life. Crazy. Beautiful. Pingback: Walk In Her Shoes : Day 2 | Life. Crazy. Beautiful. Pingback: Walk In Her Shoes: Day 3 | Life. Crazy. Beautiful.